There are plenty of benefits to having a security system, especially when you need one that can offer families with kids the best options. You like the idea of knowing that your family is secure and that all of your possessions are protected. 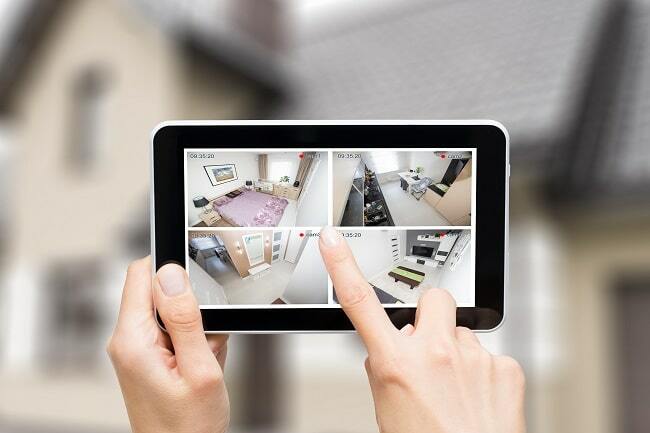 If you have older kids and teens, however, you’ll quickly discover that security systems have a few other advantages. 1. Keep track of when kids enter and leave your home. This is particularly useful if your kids are planning to come home while you’re away or if they come home after you’re in bed. Simple alerts from the security system will let you know that they’re behaving the way they should be. 2. Let your child in. By connecting your security system with your smart house, you can let your child in no matter where you are. No more waiting on the front porch for Mom and Dad to get home when they forget their key! 3. Know immediately in the event of unexpected entry. One of the biggest worries of many parents whose children are alone for a few hours after school is the possibility that someone you don’t know will attempt to enter your home while your child is alone. Your security system can notify you if anyone comes through the doors–and that means you can keep your children safer. 4. Use video monitoring to determine what your child is doing. It’s also helpful to use video monitoring and recording that will let you know what the babysitter is really doing with your kids. Sure, you trust them–but it’s always good to have proof, too! 5. Become aware immediately if a child tries to sneak out. Security systems don’t just keep predators out. They can also keep wayward teens in! By installing a great security system, you can ensure that your teen doesn’t try to creep out of the house in the middle of the night. Having a home security system is a great way to protect your kids–not only from potential predators but from the ramifications of their own bad decisions. Contact us today to learn more about a security system that will allow you to protect your family more effectively.